PARSIPPANY, NJ--(Marketwired - June 16, 2014) - Wyndham Hotel Group, the world's largest hotel company with approximately 7,500 hotels and part of Wyndham Worldwide Corporation (NYSE: WYN), today added to the footprint of its namesake Wyndham Hotels and Resorts® brand with the 376-room Wyndham Anaheim Garden Grove in Garden Grove, Calif. The recently renovated property, a Disneyland® Good Neighbor Hotel, offers family-friendly guest rooms with bunk beds for kids, high-speed wireless internet access, three on-site restaurants and bars, shuttle service to area attractions and businesses and approximately 36,000 square feet of function space that can accommodate up to 1,800 attendees. Owned by OHI Resort Hotels, LLC, and managed by Pacific Hospitality Group, Wyndham Anaheim Garden Grove is situated at the center of the Anaheim area's popular leisure and business destinations, located within two miles of attractions like Disneyland® Resort and the Anaheim Convention Center, the largest convention center on the west coast. The addition represents a significant step for the Wyndham® brand in catering to group and leisure travel business while furthering Wyndham Hotel Group's strategic efforts to bring the upscale brand to key urban and resort markets in the United States. Since 2013, two additional Southern California hotels, Wyndham San Diego Bayside and Wyndham Santa Monica at the Pier, have joined the portfolio, along with city-center properties in New York City, Boston, Philadelphia and Dallas, among others. "In addition to being located near key cities like Los Angeles and San Diego, Anaheim itself is a major tourism destination that draws millions of visitors each year," said Keith Pierce, executive vice president of brand operations for Wyndham Hotel Group. "Having a centrally located property in this important market -- a market that is established and difficult to penetrate -- is an exciting milestone for the Wyndham brand's growth. With its extensive meeting space, family-focused offerings and service-oriented staff, we know Wyndham Anaheim Garden Grove will be a wonderful addition and will go above and beyond to meet guests' needs." 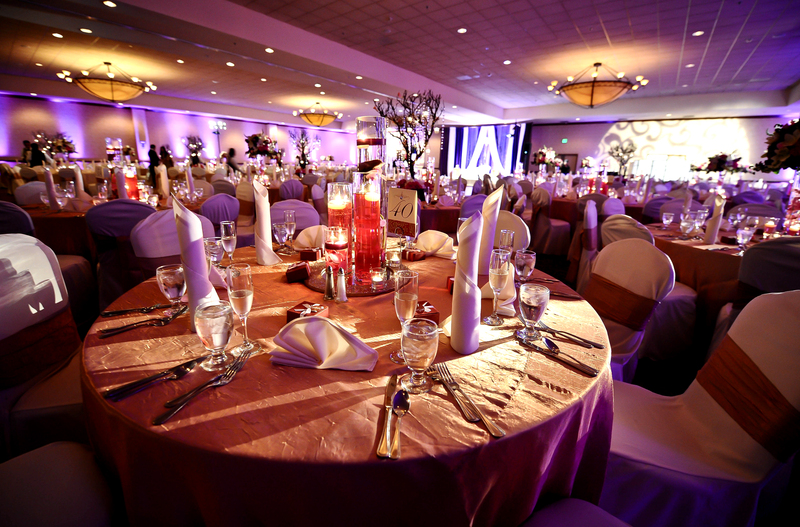 The hotel's nearly 36,000 square feet of indoor and outdoor event facilities include two spacious ballrooms, 10 flexible meeting rooms and more than 6,300 square feet of pre-function space. On-site event services and amenities include state-of-the-art audio visual and presentation equipment, dedicated event staff, full-service catering and hospitality suites. 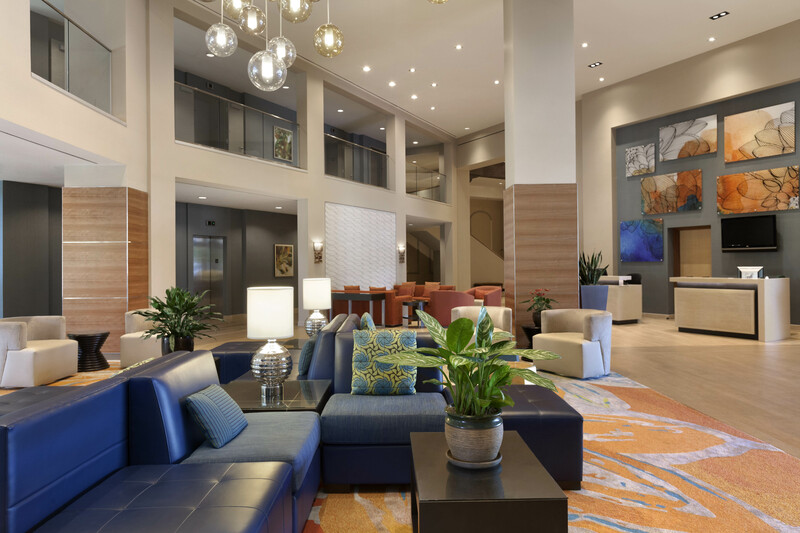 "We are extremely pleased to be partnering with the Wyndham brand and providing a beautifully renovated hotel in the Anaheim area to Wyndham's Southern California collection," said Steve Arnold, president and chief operating officer for Pacific Hospitality Group. "We are also delighted with our new upper-upscale designation provided by J.D. Power and Associates and we have enhanced our operations to match this distinction. With 376 guest rooms and suites, 36,000 square feet of flexible meeting space and the newly constructed California Grill Restaurant, Blend Coffee Bar and Trinitas Cellars Wine Bar, the resort is well-positioned to continue to serve the discerning leisure and business traveler." Other hotel offerings include a 1,500-square-foot fitness center, a business center, a pool and hot tub with private cabanas and a library. Guests also have access to room service, a gift shop and an on-site Disney Desk where they can purchase tickets and obtain information about nearby Disney® parks. Located on Harbor Boulevard, Wyndham Anaheim Garden Grove gives guests immediate access to popular destinations like Disneyland® Resort, Downtown Disney®, Disney's California Adventure® Park and Knott's Berry Farm. Shopping and dining are located nearby at The Shops at GardenWalk and The Outlets at Orange, while popular Southern California beaches are less than 20 miles away. Meeting planners can earn Wyndham Event Rewards® points when they book and hold events at Wyndham Anaheim Garden Grove. Points can be redeemed for rewards including airline tickets, free night stays, gift cards and more. More information is available at www.wyndhameventrewards.com. Guests staying at the hotel who are members of Wyndham Rewards® -- the free-to-join guest loyalty program of Wyndham Hotels and Resorts and parent company Wyndham Hotel Group and the only hotel loyalty program to offer guaranteed rewards with just one qualified stay -- can earn valuable points during their visits. Points may be redeemed for a wide variety of reward options including free hotel stays, air travel, gift cards for leading retailers and restaurants and more. Information is available at www.wyndhamrewards.com. Wyndham Hotels and Resorts, LLC, a subsidiary of Wyndham Worldwide Corporation (NYSE: WYN), offers upscale hotel and resort accommodation throughout the United States, Canada, Mexico, Central and South America, the Caribbean, Europe, the Middle East and China. All Wyndham® hotels are either franchised by Wyndham Hotels and Resorts, LLC or managed by Wyndham Hotel Management, Inc., or one of its affiliates. Additional information and reservations for all Wyndham hotels are available by visiting www.wyndham.com. Wyndham Hotel Group, part of the Wyndham Worldwide (NYSE: WYN) family of companies, is the world's largest hotel company with approximately 7,500 hotels and 646,900 rooms in 69 countries under the hotel brands: Wyndham Hotels and Resorts®, Ramada®, Days Inn®, Super 8®, Wingate by Wyndham®, Baymont Inn & Suites®, Microtel Inn & Suites® by Wyndham, Hawthorn Suites by Wyndham®, TRYP by Wyndham®, Howard Johnson®, Travelodge® and Knights Inn®. In addition, the company has a license agreement to franchise the Planet Hollywood Hotels brand and provide management services globally. All hotels are independently owned and operated excluding certain Wyndham, Hawthorn Suites by Wyndham and TRYP by Wyndham hotels, as well as certain Ramada, Days Inn and Super 8 hotels outside of the U.S., which may be managed by one of the affiliates of Wyndham Hotel Group. With over 7,000 participating hotels throughout more than 50 countries, the program offers its over 8.8 million active members the opportunity to earn valuable points for their qualified stays. Those points may be redeemed for hundreds of rewards options including free hotel stays, airline travel, gift cards for leading retailers and restaurants and more. Free stays start as low as 5,500 points, while other reward options start as low as 250 points. Members may also choose to earn with approximately 20 leading airline carriers and other partners. Wyndham Hotel Group is based in Parsippany, New Jersey, U.S. Additional information is available at www.wyndhamworldwide.com. For more information about hotel franchising opportunities visit www.whgdevelopment.com. EDITORS: High-resolution versions of the above images may be downloaded by clicking here. Additional photos and logos can be downloaded from the Wyndham Worldwide Media Center, available here. For more information about Wyndham Worldwide Corporation and its businesses, go to www.wyndhamworldwide.com.